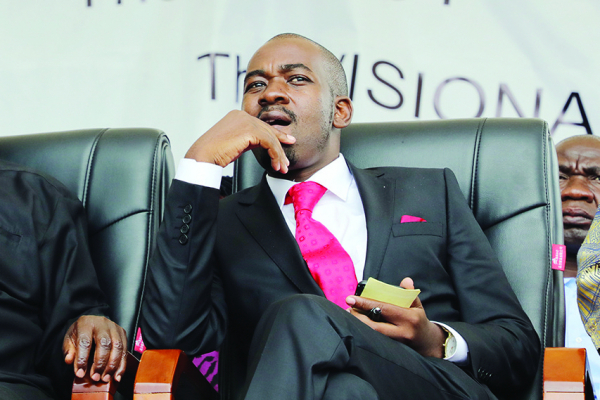 MDC Alliance presidential candidate, Nelson Chamisa has pledged to appoint a lean 15-member Cabinet to avoid overburdening the taxpayers, adding he would not hesitate to expel incompetent ministers and public officials if he wins next month's presidential election. Addressing a campaign rally in Mutoko yesterday, Chamisa said his administration would not tolerate corrupt and incompetent public service officials. "We are going to have just 15 ministers in Zimbabwe, that will be enough. You can't have lots of ministers, as if you want to address a rally. I will also make sure that those who steal are not recycled, but are fired from government. My government will not have stealing and corrupt ministers," he said. "Government today has become a feeding trough, only those in power are the ones who are wealthy. The people who are appointed into government become rich overnight, that has to stop. One can't be a minister, a businessman, a farmer and an employer, just that one person. No! We need to share those roles for effective production and wealth creation." Chamisa took pot shots at top government officials who shun local medical institutions and sought treatment outside the country. "No minister will be allowed to seek medical attention from outside this country because we are going to upgrade our hospitals to the standards that will ensure our people access quality medical attention. Here in Mutoko, we will upgrade the facilities to the point that just walking into a hospital you will feel better, not the current situation where you have to bring your own water and pills. What kind of hospital is that?" he said.